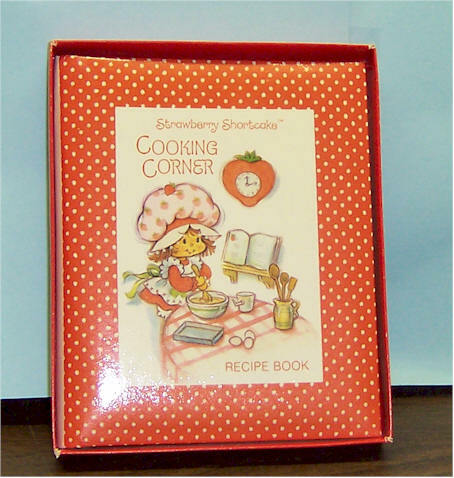 Strawberry Shortcake Recipe Book. No writing in book. Mint condition. 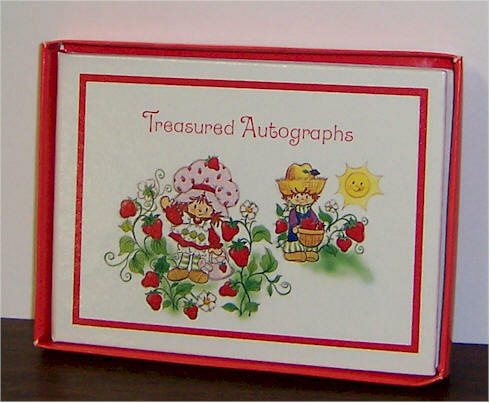 Strawberry Shortcake Treasured Autographs by American Greetings. No writing in book. Never used. Comes w original box. Mint condition. 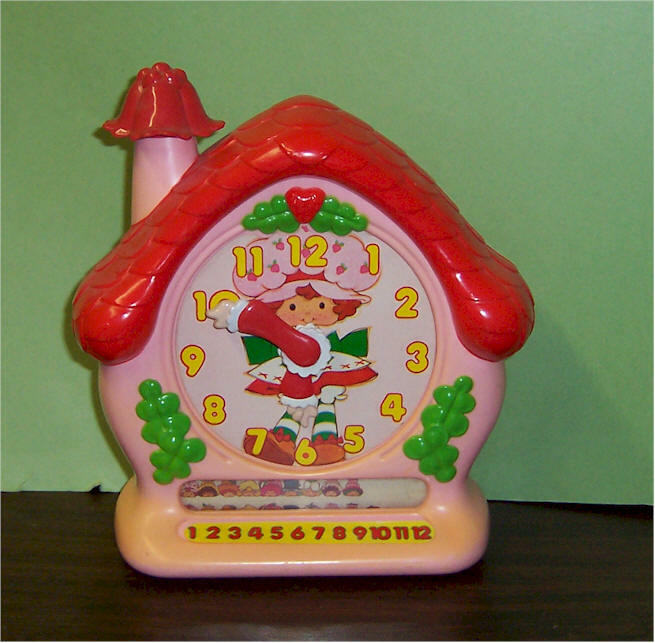 Strawberry Shortcake Preschool Teaching Clock. Good condition. 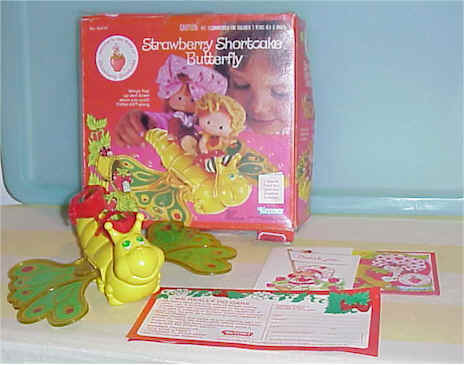 Strawberry Shortcake Betty Crocker special Mail Away. 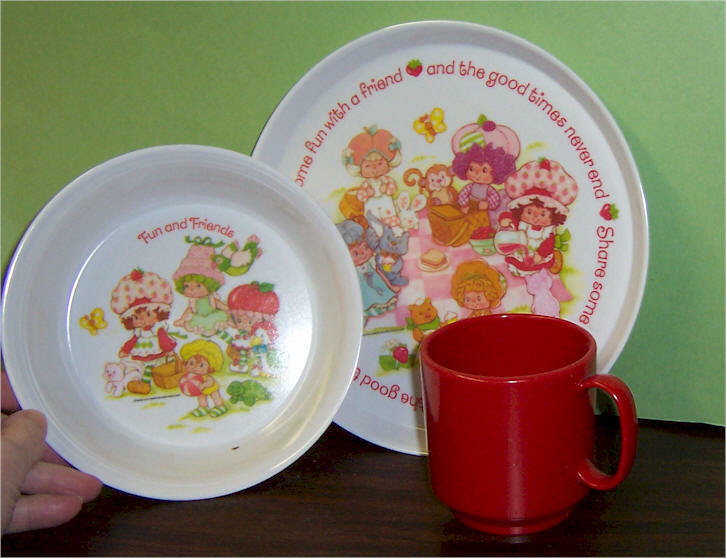 Includes cup, plate and bowl. No cracks. Very good condition. 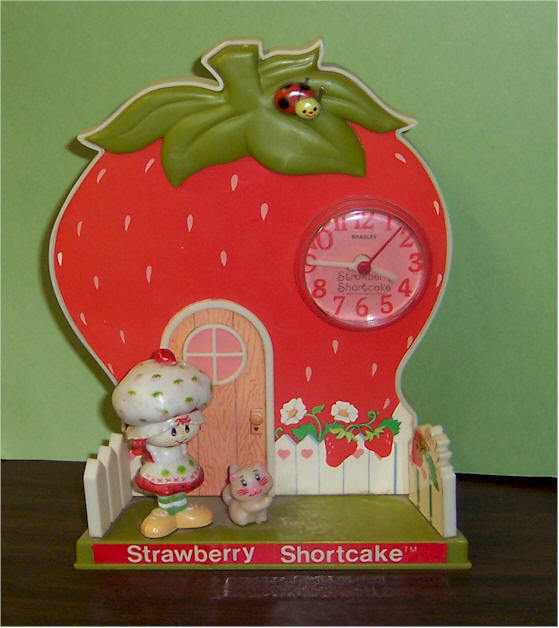 Strawberry Shortcake Plastic 3-D alarm clock No cracks. Nice condition. 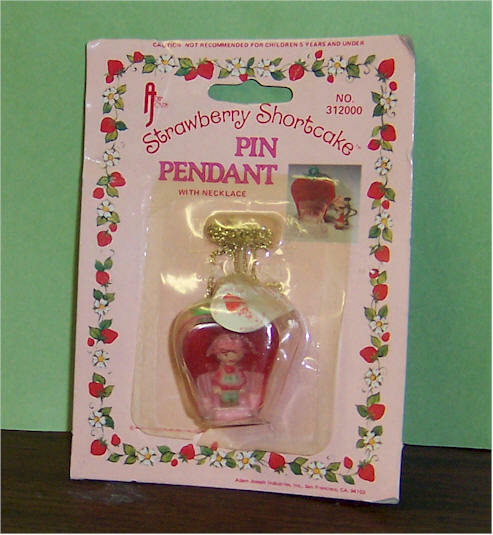 Strawberry Shortcake Radio. 1983 American Greetings. Works good. 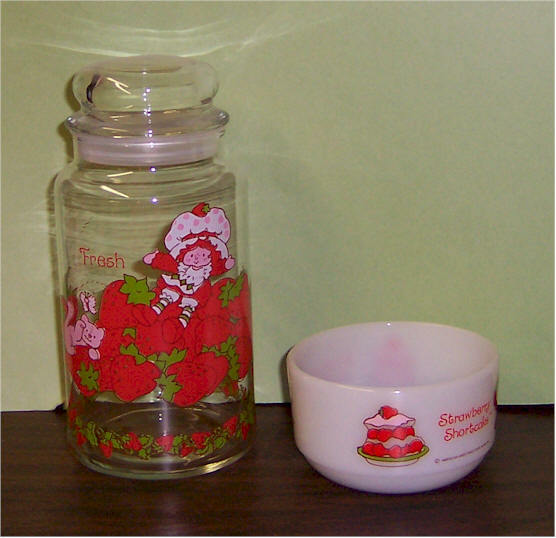 Strawberry Shortcake Glass Bowl and Canister. No cracks. 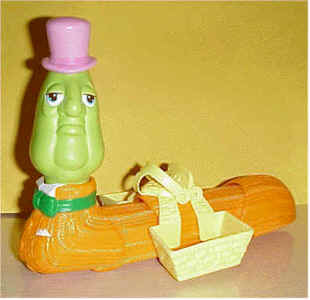 Berry Merry Worm .... Toy Vehicle. This jaunty fellow's name is PHILBERT WORMLY III and he goes up and down like an inch worm when you push him. Strap a doll in the saddle, put a pet or two in the side baskets and watch them inch along. Mint in Box. 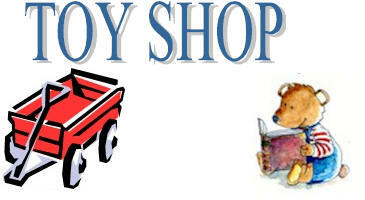 Loose Berry Worm....Toy Vehicle. This jaunty fellow's name is PHILBERT WORMLY III and he goes up and down like an inch worm when you push him. Strap a doll in the saddle, put a pet or two in the side baskets and watch them inch along. 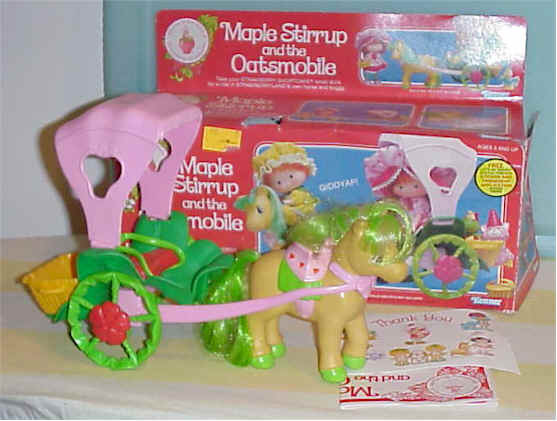 Maple Stirrup and the Oatsmobile. Is sweetly scented and has her own curry brush for combing her mane and tail. Removable saddle. Box missing insert. Comes with Thank You card and the instructions, Berry points cut out. Box damaged. Torn on one side of the box. Still very nice. Loose Maple Stirrup and the Oatsmobile. Missing curry brush for combing her mane and tail. Removable saddle. Good Condition. 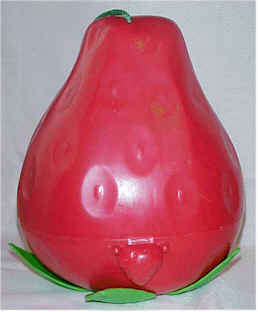 Plastic Berry Patch Carrying Case. 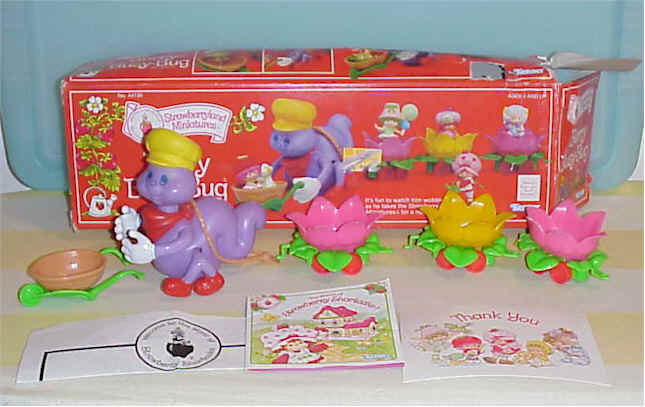 Opening the shutters reveals pretty Strawberryland backdrop and shelves with pegs to stand all the characters. It can be stood on a table, hung on the wall or you can carry it with you. Kenner 1981. Good Condition. 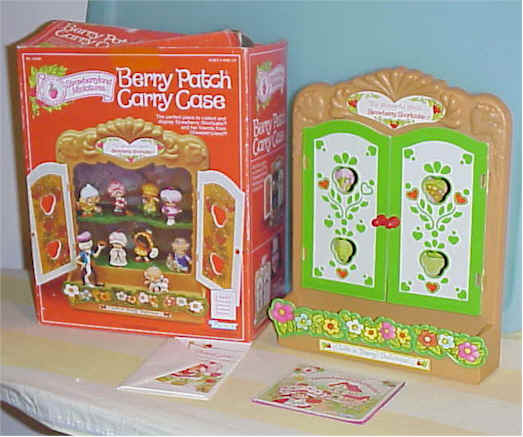 Plastic Berry Patch Carrying Case. 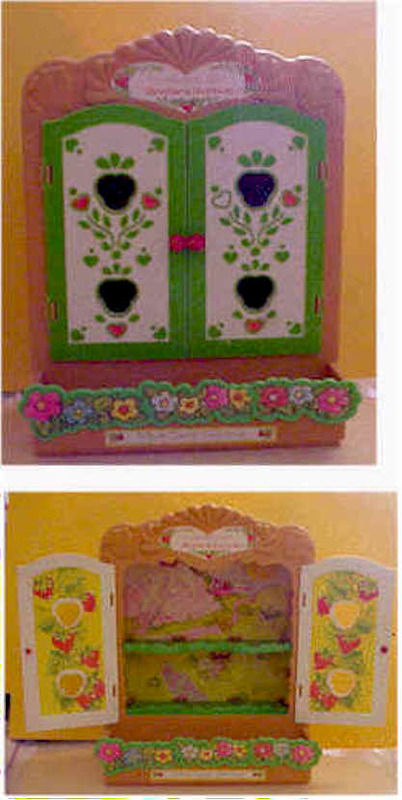 Opening the shutters reveals pretty Strawberryland backdrop and shelves with pegs to stand all the characters. It can be stood on a table, hung on the wall or you can carry it with you. Kenner 1981. Comes w Thank You card and booklet. Mint condition. 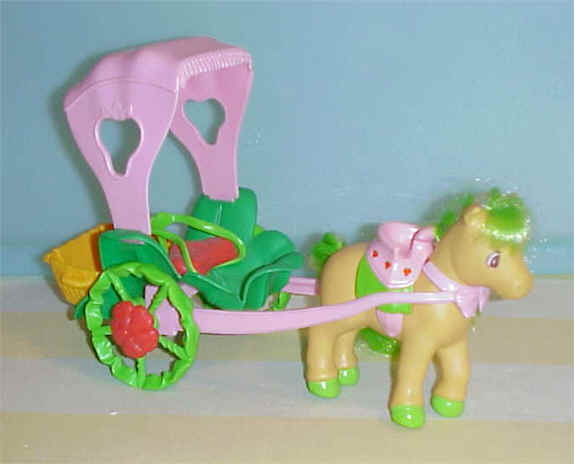 SS Berry -Cycle toy vehicle. Comes in box. 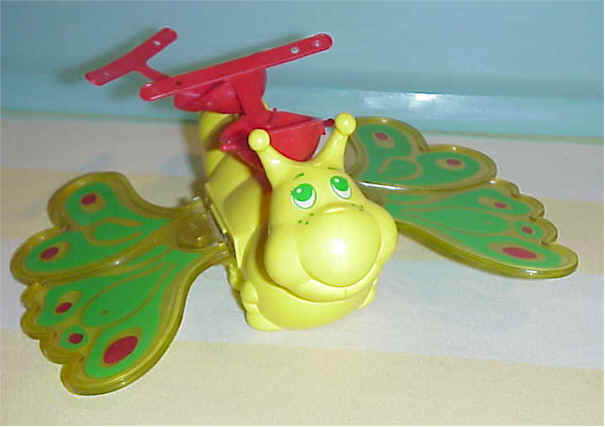 SS Loose Berry -Cycle toy vehicle. Snail Cart - pulled by the snail whose head moves from side to side. 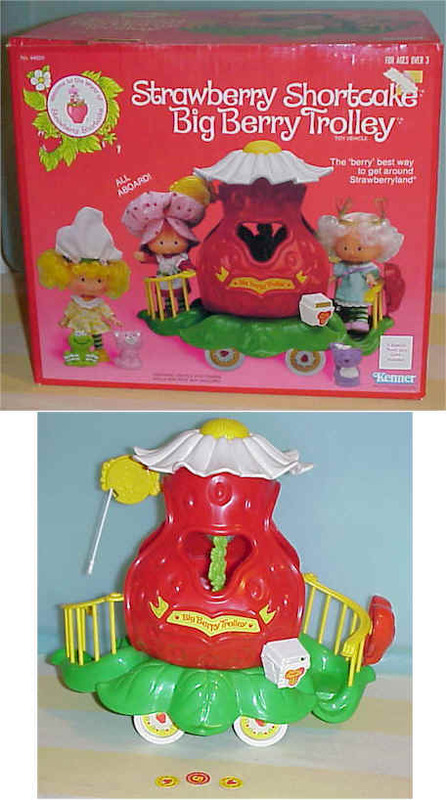 The basket converts to a picnic table and the big strawberry opens to reveal a mountain of pretend ice cream, two plates, spoons and scoops of ice cream. 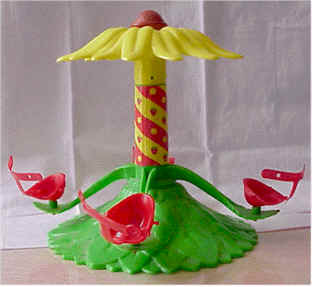 The strawberry's top can be used as an umbrella for the picnic table. Missing box insert Berry points cut out. Complete. Good condition. 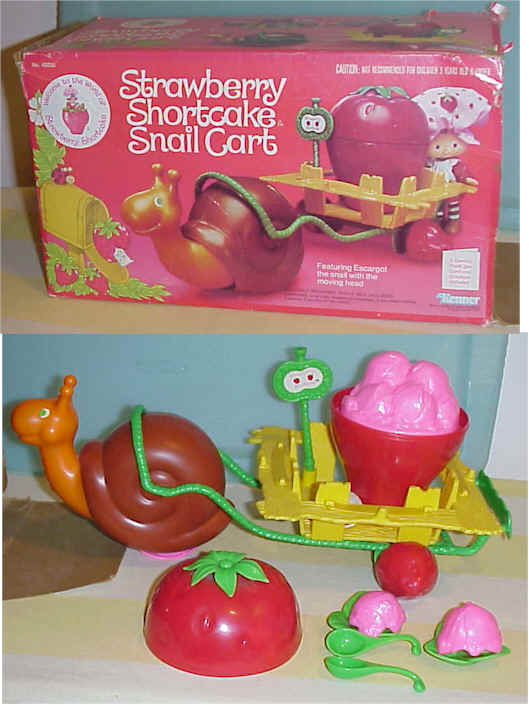 Snail Cart- pulled by the snail whose head moves from side to side. 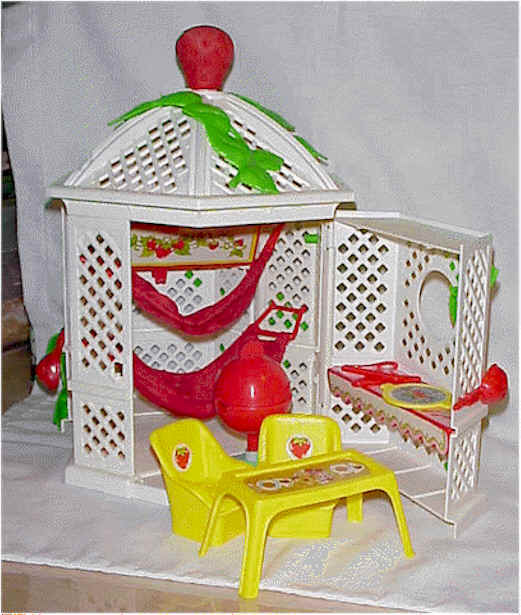 The basket converts to a picnic table and the big strawberry opens to reveal a mountain of pretend ice cream, two plates, spoons and scoops of ice cream. The strawberry's top can be used as an umbrella for the picnic table. Complete. Loose Carousel. Pushing up and down on the sunflower knob sets this bright merry-go-round spinning. Kenner 1981. Good Condition. Garden House & Gazebo. There's a table, two chairs, barbecue, two hammocks, 2 hangers and a closet for hanging doll outfits. Complete. Comes with original box. Garden House & Gazebo. There's a table, two chairs, barbecue, two hammocks, 2 hangers and a closet for hanging doll outfits. Complete. SS Carry Case. 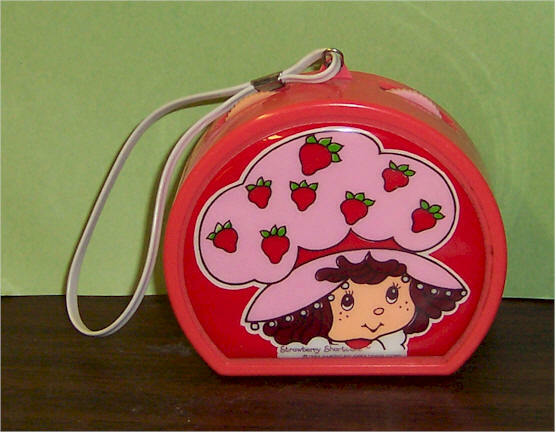 This carrying case has room inside for 4 Strawberry shortcake dolls. Plastic. Good Condition. Berry Busy Bug for miniatures. Plastic. Complete and in good condition. Kenner 1982. Berry Busy Bug for miniatures. Plastic. Box insert missing. Box is damaged. Berry points cut out. Comes w Thank You card, instructions and booklet. Complete and in good condition. Kenner 1982. Flitterbit Butterfly. Plastic. Complete and in good condition. Flitterbit Butterfly. Plastic. Comes w Thank You card and envelope, instructions and booklet. Complete and in good condition. Berry Bake Shop. 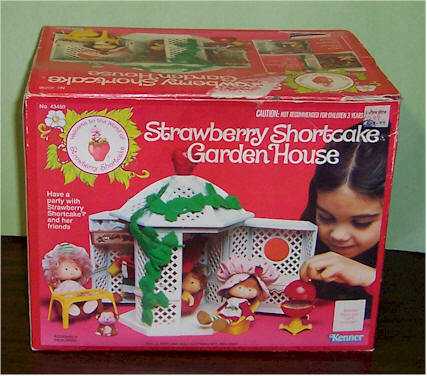 The big red strawberry opens to reveal a playset with a stove, with doors that open, a garden where pretend berries "grow" and a refreshment stand for selling berries and pies. A pot, basket, pies, gardening tools and watering can are included. Comes with box. Big Berry Trolly. The bell rings when you pull the cord. A special box for collecting tokens. It wobbles and clicks as you push it. Berry points cut out. Complete.